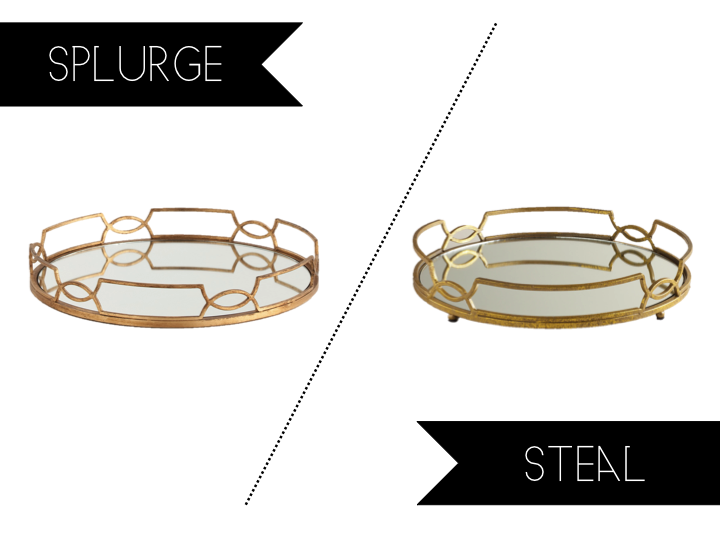 This splurge vs steal was pointed out to me by Kathy of My Interior Life and thought I would pass along....perfect for holiday entertaining or a Christmas gift! So pretty - glad you featured this one! I will say that the Nashville WM didn't have any of these trays back in mid-November (my sister was in town visiting and wanted one), but maybe they've re-stocked? An employee mentioned that they were "seasonal" items but I'm not sure what season he was referring to. Whoa, I love the tray and the $29 price :) Great find! What a divine tray! love it. your blog is darling, love the space that you have created here. Ok, just wanted to let you know that I went back and WM now has them well-stocked. So, shop on!